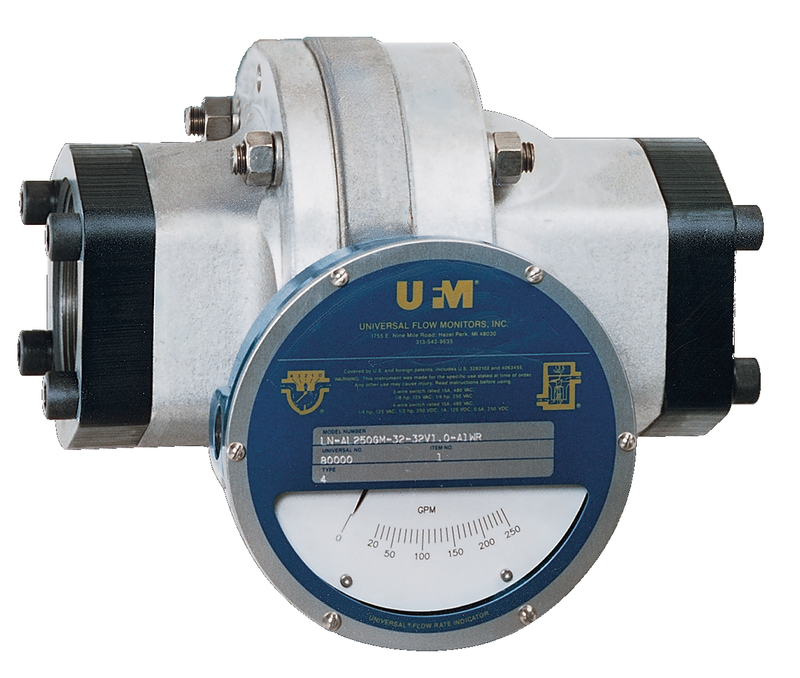 1 1/2 " 2" 2 1/2" 3" 4"
UFM’s large series vane-style variable area flowmeters (LN & LE models) operate with a spring biased semi-circular vane that opens wider with more flow. They are installed in-line in any position. Straight pipe run before or after the meter is not required. The simple mechanical connection directly drives pointers, switches and transmitters.